Philips MSR 700 SA 1CT The Philips MSR700 SA short arc and compact design helps enable a compact luminaire that provides high beam intensity, while the excellent color rendition characteristics help ensure optimal colors on stage. 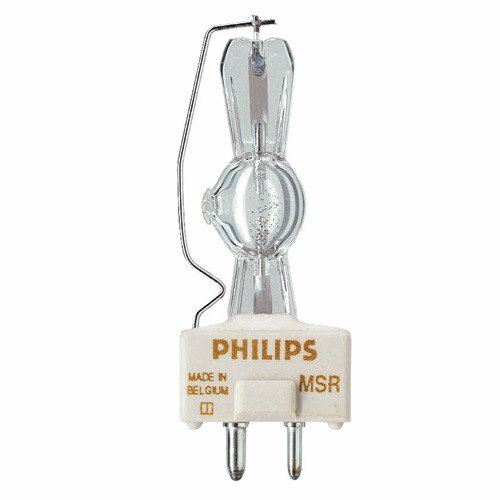 The The Philips MSR 700 SA Lamp highly innovative P3 technology, developed by Philips, allows MSR Short Arc lamps to be used at higher temperatures in any burning position. The result? Longer lifetime, fewer early failures and a highly consistent performance throughout the lamp’s lifetime.